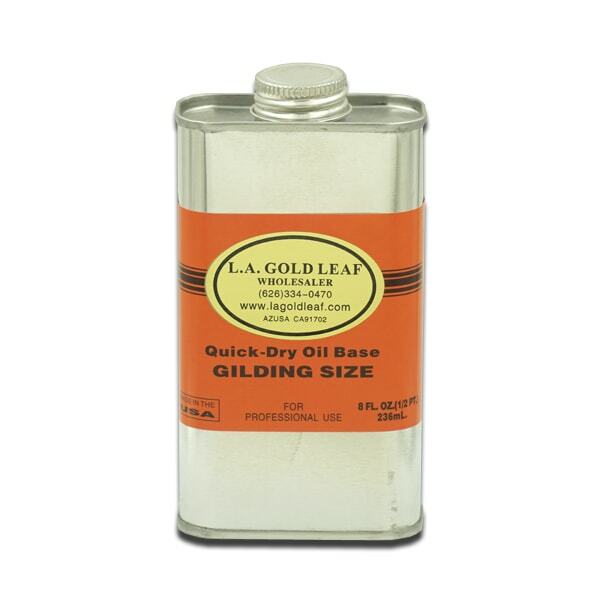 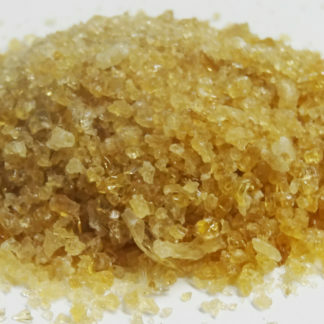 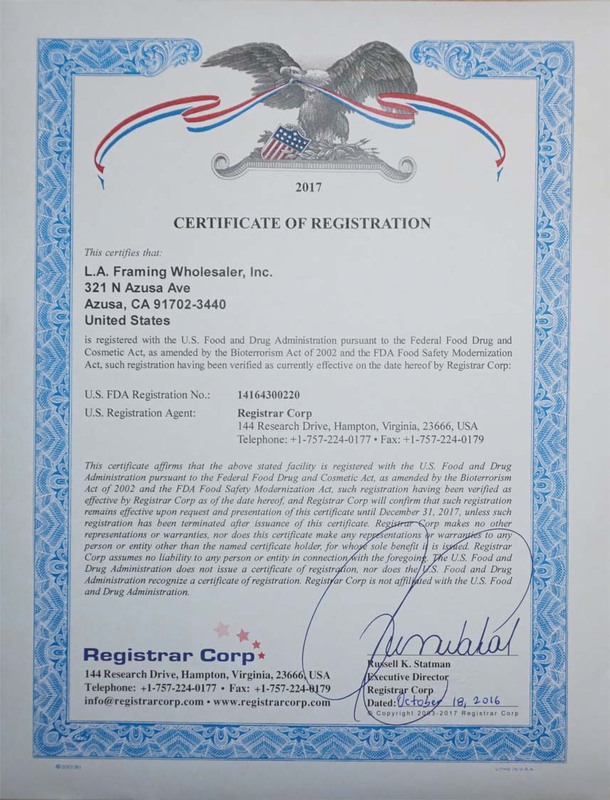 L.A. Gold Leaf Quick Dry Size (Outdoor/Indoor Use) - L.A. Gold Leaf Wholesaler U.S.
A clear Oil Base gilder’s adhesive (size) for fast leaf work. 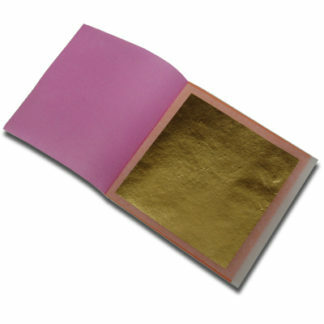 It affords excellent durability, flexibility and open time for interior and exterior gilding applications. 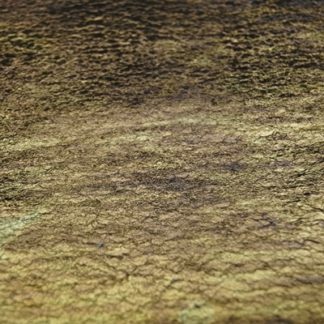 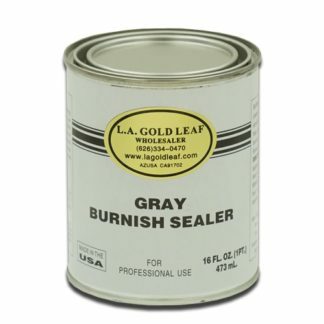 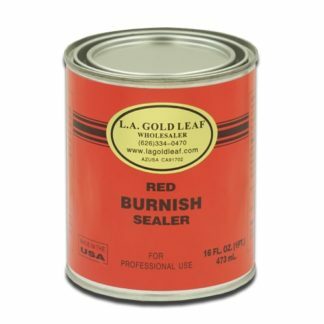 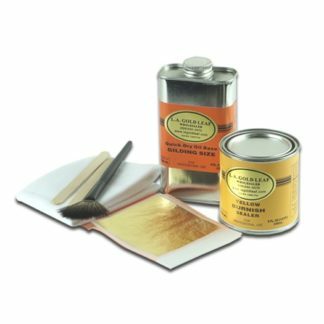 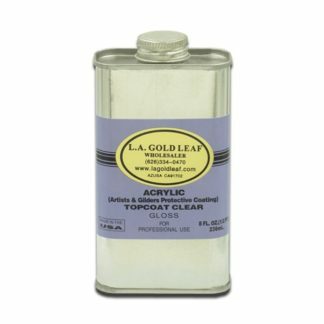 The L.A. Gold Leaf Quick Dry Size gilding size will achieve tack in approximately 1½ hours and the tack will remain for approximately the same period of time. Total hard dry occurs in about 36 hours. 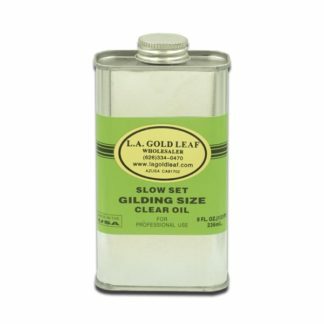 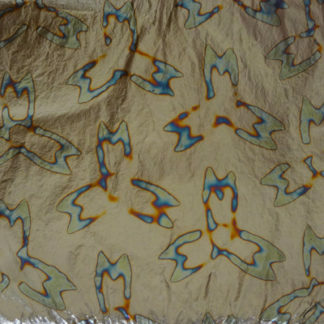 It should be noted that tack and dry times are subjective to the gilder’s technique, thickness of the film and are approximate depending on the ambient temperature and humidity when applied.